2010, 11, 12, 13, 14, 15, 16. "We have voted for you! Very well deserved - you did a great job Thanks for everything"
office phone with answer machine +Fax :97343697"
or call mobile : 0417811502"
Hear ye, hear ye, Prince Charming has found his Cinderella, and they are to be wed. Yes Hello and congratulations to the newly engaged couples. So now you are planning your wedding and only a London taxi will do. With places like London, Liverpool, Manchester, Brighton, Edinburgh, have a truly nostalgic appeal ...... Memories of the U.K. will come flooding back on your wedding day, as you travel by London Black cab, sipping bubbly, kissing, royal waving, With your cab trimmed with a British, Scottish, Welsh, or Irish flags...... yes Re-enact the royal tour of 1954, with 'Royal Waves from Prince and Princess Charming, whilst your taxi is HERALDING your celebration ( tooting the Horn, tune "Here comes the Bride" and more ) in Grand European style, your departures, parade and arrivals. Enjoy the towns folk waving in return, as they wish you both a life-time of love. WEDDING ANNIVERSARY .... going to your restaurant of choice say ...the Titanic Theatre Restaurant for your 1st.. 2nd.... , Silver (25) Ruby(40) Golden(50), Diamond (60), to 70th or more, The Governor sends out Congratulatory letters to people on their Golden Wedding Anniversary, Diamond Wedding Anniversary and 100th Birthdays. To request that a Congratulatory letter be sent to a Victorian resident, please call Protocol Enquiries on (03) 9651 5026. BUCKET LIST ITEM.... have your first ever ride in a London taxi ... have a night out with 3 mates ... with photos and memories for a life time. NOW CELEBRATING 24 FUN-FILLED WONDERFUL YEARS OF SERVICE AND EXPERIENCE. 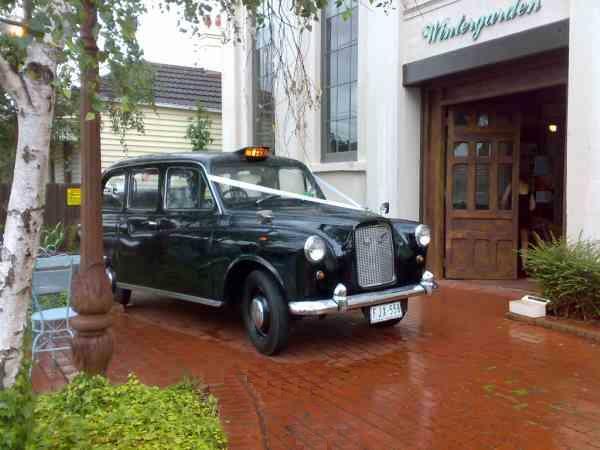 Established in October 1994 in Spotswood as THE OLD LONDON TOURER, then in May 2000 became "London Taxi Wedding Services Pty Ltd". YES ... Government Licensed all over Victoria ( BLUE 2017 VTD stickers in all cabs) please ask to see proof. Every day is a wedding expo here , with 4 cabs and reception room. Started when we found our 1st cab, for sale, wow , and we wanted everyone to share in it . 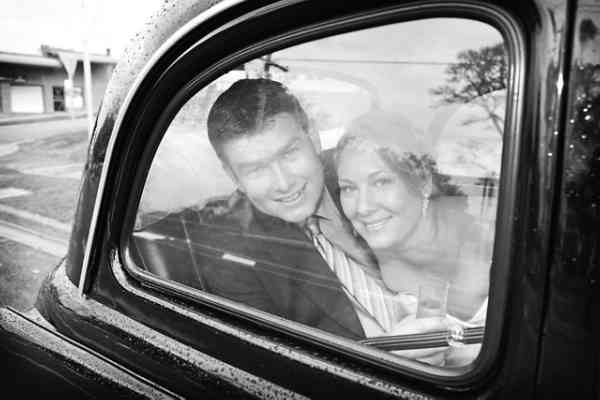 Thus we have always wanted to bring you the best London taxi service, with a genuine interest in YOUR wedding day. To support this we included 4 trips (privately funded) to London, to Visit the Public Carriage Office, to speak with the Top brass, tour Ray's Inspection bay, tour 'Cab Charge' head office, Visit with 'Mann and Overton' head office and spares. Tour the places our cabs have passed countless times, like Buckingham Palace, Kensington Palace, Hampton Court Palace, Harrods and more .. even visited Windsor castle, Liverpool, Manchester, Gloucester, Brighton, Edinburgh, York, Gillingham in Dorset, Cardiff in Wales, Southampton, ...... now let's chat about where you both met, and where you popped the question, your romantic London memories, .... and your plans for a royal wedding with our famous London Taxis. 18-10-2018, Steven and his 86 yr old mum attended the Prince Harry and Megan royal walk up Government house drive Melbourne, and appeared on the night news "we was"
14-10-2018 happy anniversary # 24 to myself and Brian Hickey(dec) who's idea it was to go look at a London taxi in Williamstown, 1994 October. 11-2-2017 Esther Anderson celebrity wedding, we took Howard Moggs the Groom, his taxi organised from LA via direct phone call, and a secret + surprise from Esther for Howard, and yes he was surprised, a wonderful day. 12-11-2016 ........ STOP THE PRESS - hold the front page, Mansfield courier front page, get a copy, re the story - first ever wedding with London taxi in Mansfield-Merrijig , in 22 yrs of business, wedding #1505 was at Sebel Pinnacle Valley Resort, with helicopter if you don't mind, job was 7am-midnight ,17hrs depot -depot . 14-10-2016 ..... WOW, today 14th october 2016, our 22nd anniversary, for London taxi wedding services, and last wedding, last Saturday 8th, was event #1500 , woof we have driven a long ways since we started, I am so so proud of my drivers over the years who did the show biz side of the business as requested, will be in Lancefield tommorrow 3pm, event #1501. 13-10-15...... Our 4 London taxis gave away free rides around Melbourne CBD for Emirates airline UK Promotion. it was a lot of fun. 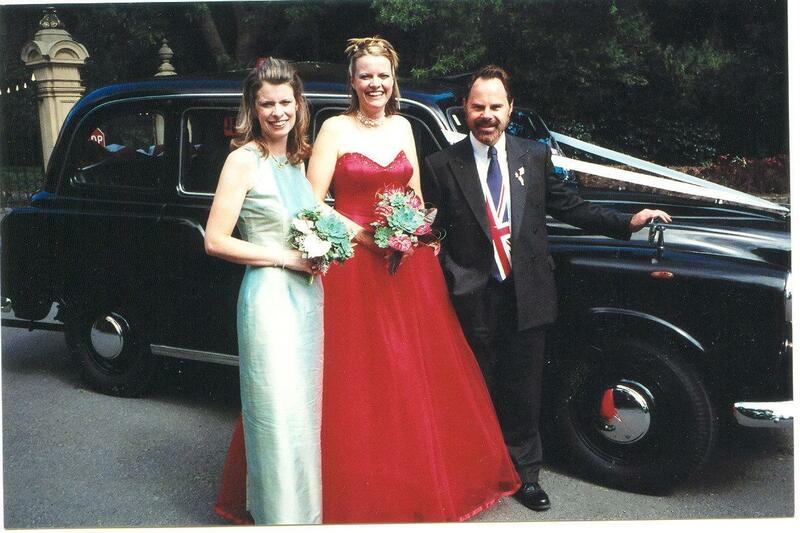 31-1-2015...... wedding in Canterbury, after leaving photos in the park, in 3 London cabs drove down Maling Road, Canterbury, with 3 Horns heralding the passing parade to the shoppers.. Steven- owner in leading taxi saw lady, who was between 2 parked cars, jumping up and down"toyota advert style" screaming "MY CAR, My CAR". 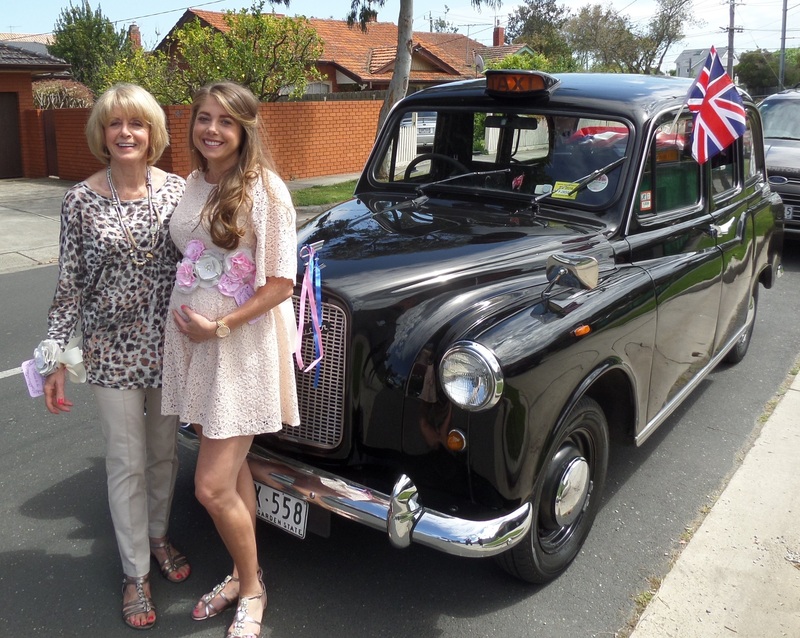 She was a recent customer, more than happy to see her London taxi again. also seen by Bride inside... 2nd cab. 3-12-2014... A/C at last in our top London cab - FJX558, maybe more to come. 14-10-2014.. 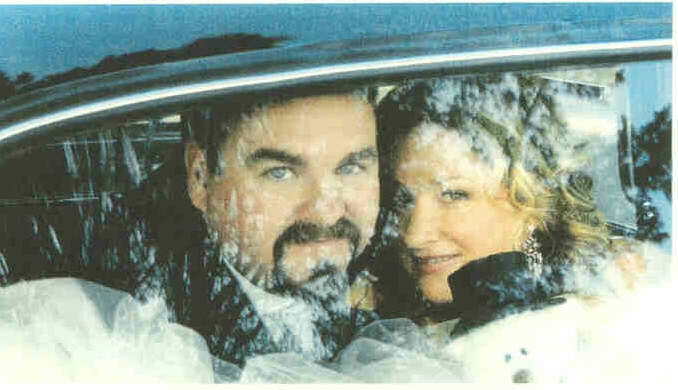 Happy 20th Anniversary to US with 1427 weddings. 5-5-13 ..... Did you see our cab in Mrs Biggs ? 13-8-12 ..... wow, did you see the Spice Girls, arrive in London cabs during the Olympics closing ceremony, I must get one. Well done London . 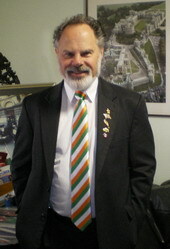 26 October 2011.... 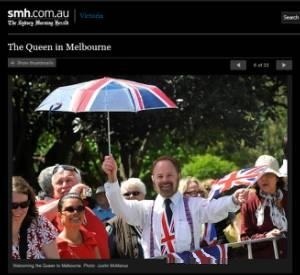 Practicing for the Royal passing in Government House Drive, Melbourne .. then I WAS seen by her Majesty Queen Elizabeth and Prince Phillip as She pointed out the open car window at the flag on the fence ?..... 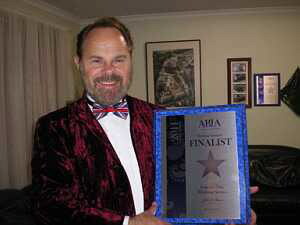 Photo noticed by Alan and Cathy in Bargara- Bundaberg QLD, who only met me 6 days before. 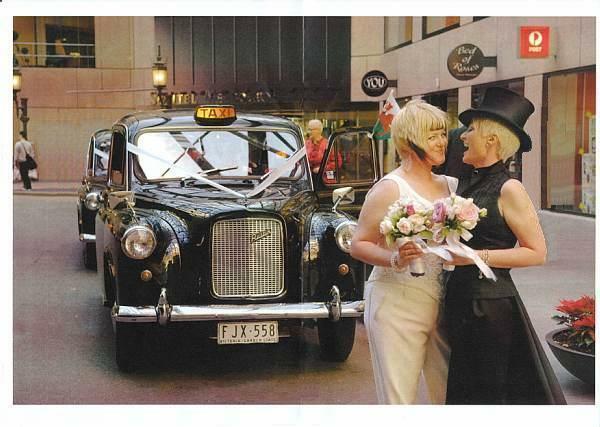 I said "Yes I did"
29 July 2010.. what a night, Opening night of Mary Poppins, 6 London taxis shuttling guests from Her Majesty's Theatre to the after party at the Sofitel Hotel, 120 guests enjoyed the offer. Mr Sherman- who wrote the songs for the Movie in 1964, took prime cab with prime driver Steven-Owner, and was kind enough to give Steven an autograph, in the most delightful way . 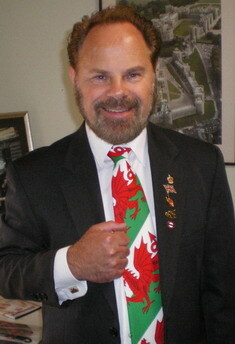 Also Mr Fellows who wrote the Stage show, took his guests in cab #2. Feb 23 2009,..... Ladette to Lady.. for Channel 9 TV Show, . 2 taxis with guests taken to the Windsor Hotel, Melbourne, Steven- owner, met and shook the hand of both Principle Gillian Harbord and Rosemary Shrager next to my cab at the front door of the Windsor hotel, with a hearty "Excuse me Ladies, Welcome to Melbourne"
August 1st 2007 in the front of Windsor castle, I bumped into "February Bride , what a totally wonderful delight ......................... she called out from across the Street, "Steven Is that you ?" yes she called out from across the Street, "Steven Is that you ?" forgive the Stunned look on my face I was thinking "what are the odds"
HELP IS THIS YOU ? 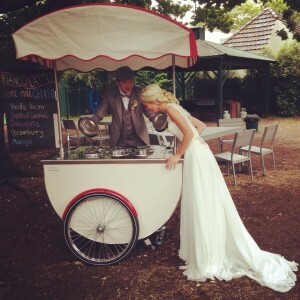 please need to confirm who this is Yes we contacted every bride from jan -june, no takers, married Barwon Heights ? lives in London Area not Windsor ? 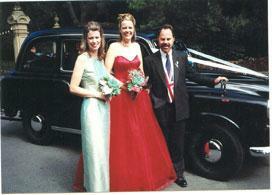 September 12/13 -2005 ..... 4 cabs hired by British Airways, covered by promotion signs, we had 2 great days did you see us? 7th July 2005, bus bombed in London, right outside my 1st trip and 2nd trip hotels, can you believe it ? 6th July 2005.. Congratulations to London who will host the 2012 Olympics . Many thanks for your wonderful service for our wedding (8.3.02) Everyone loved the taxi-bus theme and for us it added a touch of nostalgia, regarding our London romance. We wish you well in your future business and will certainly pass our high recommendation to any interested parties. 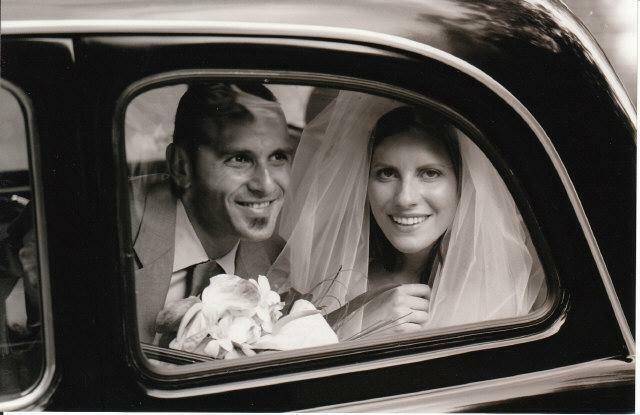 ...Friedman, From Victoria and Michael Friedman, wedding 24 March 2002. Dear Brian and Steven, Thought I'd Drop you a quick note to thankyou both for providing 2 great London taxis on our wedding day and for your prompt efficient & friendly service. The cars certainly set the tone for the day and I enclose a couple of snaps for your files. Thanks again. 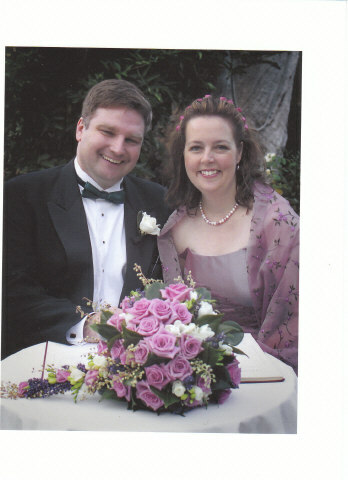 .....Helen Marchant, wedding 15 March 2003. 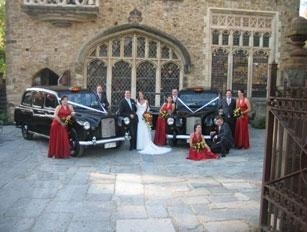 Thankyou so much for all your assistance on our wedding day.The London cabs were FANTASTIC ! The day was filled with fun, happiness and excitement. 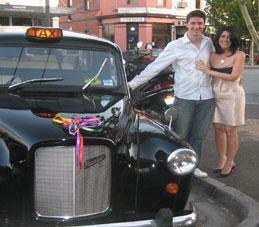 The London cabs are very special to us and so great to be able enjoy them on our special day. 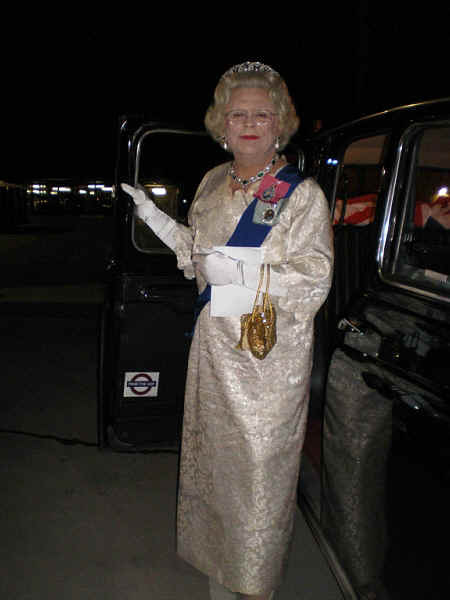 I would like to thank everyone at London Taxis for making it a very special day. 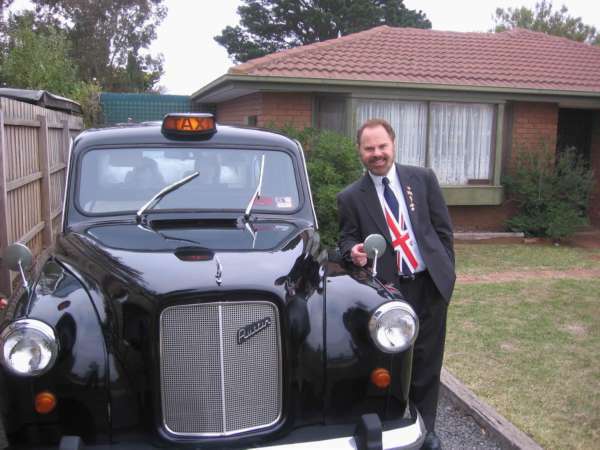 It was fantastic to have a London taxi take us around Melbourne in such style. 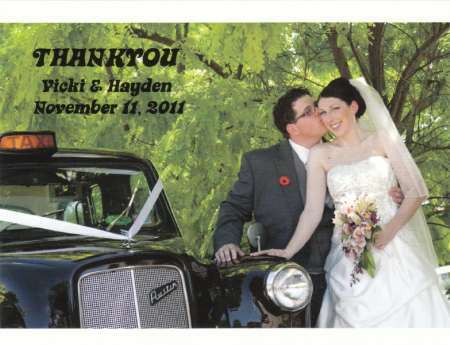 Thankyou for the wonderful car you supplied for our wedding day. It was a real treat and a huge talking point at the wedding. Special Thanks to the driver on the day. Hi Steven, Thankyou so much for giving us the opportunity of riding in your London cabs ( with a London Bobby as well (groom's brother )). Your cabs made the day and my Father in-law reckons the best bit of the day for him was the trip in your cab on the way to the church.. he want bloody shut up about it ! They really did make the difference, and were the perfect thing for our day. I will be highly recommending your service to all my other bachelor mates that ever think about tying the knot. Steven, Thank you so much for helping make Georgi and Will's day so special. Ian and Graeme did a marvellous job. 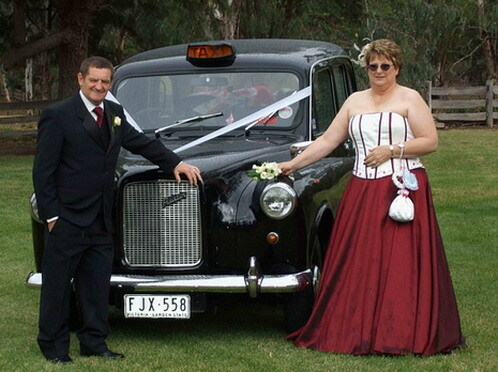 Have enclosed a photo of Will and Georgi Cook, John and Janet Waldie in front of your taxis. Thought you would like to see it. 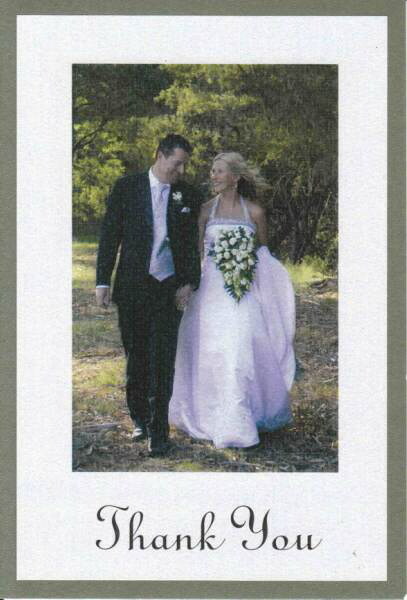 My daughter Toni Ryan was married on the 15th March 2008. We had Ian as our driver to the Ceremony. I must commend Ian for his courtesy, helpfulness and "nothing was too much" attitude on the day. I would recommend your organization to anyone wishing to have something different on their special day. ................. Bruns, Daniel and Lauren (Wynhoven) Wedding 22 March 2008, Geelong. 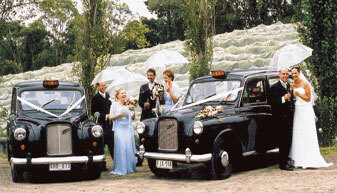 To London Taxi Wedding Services. 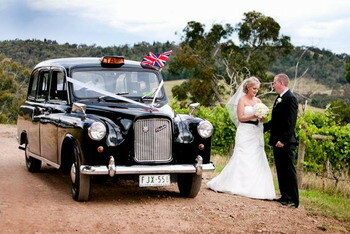 We sincerely thankyou for your efforts in supplying us with the most glamorous wedding car (3 taxis). We thankyou for making our wedding day an occasion we will always remember. Your Professionalism was much appreciated. We are very grateful for the hard work an efforts you provided on the day. 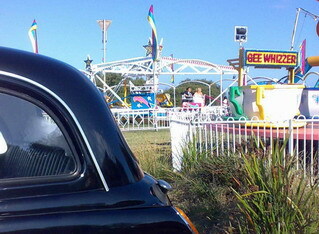 We had a great day and also much enjoyed our lovely trip to our Motel. The service was incredible. Once again. thankyou for everything. Kind regards Lauren & Daniel Bruns. Dear Steve; I want to say a very big thankyou for being there on our wedding day for us. It was fabulous how you were part of our celebration too. Everyone has commented on you and your gorgeous car (cab). You made us feel very special over the entire day. Thankyou for helping us out with umbrellas during our photos also. 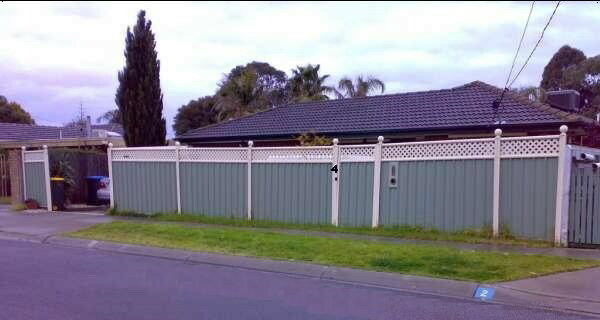 I have attached a picture for you. Thankyou again very much appreciated hope to see you again. Teresa and Rick Cole. Kim & Jodi Wiley, Wed 28-6-08. Dear London Taxi Wedding Services, Thankyou for the brilliant car (cab) & excellent service. Hi Steven, Thankyou for Saturday and the entertaining taxi ride. We had a great day and night, although it all went too quickly !! Thanks again. Lucy and Shane. 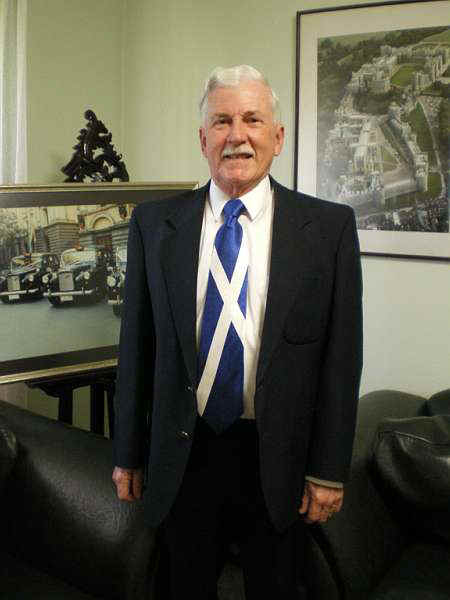 ....Degroot, Wedding 19-12-08 Crown promenade to Montsalvat Eltham, Friday traffic, Dear Steven, Thankyou so, so much for your fantastic service & speedy delivery on my wedding day December 19th 2008. You conquered Melbourne's traffic & gave us a very good giggle on the way to the venue - & I felt completely at ease with the timing in your capable hands. The Car (cab) is a little beauty and I'm so glad I was able to have a little slice of London on my wedding day. All the best, Prudence ( and Daniel ). Dear Steven, Many thanks for the most Glorious entrance that we could ever have hoped for on our wedding day. Your timeliness + attention to detail were very much appreciated. Dear Steven, Thankyou for your invaluable contribution to making our wedding a huge success. We had so many comments about the taxi ! 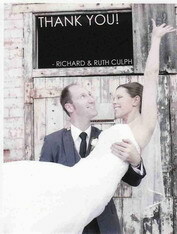 .... Price, Martin and Sally, Wed 28-2-09. Dear Brian and Steve, We hope you had a wonderful Christmas, As promised attached are some pictures from our wedding featuring your car ! (cab) Thankyou for making our day extra special. It was a pleasure having you join us. Kind regards Shane and Stephanie (Graham) Davey. Your service was absolutely perfect, you and your staff and your incredible cabs helped to make our day the most special, memorable day of our lives :) from the moment they arrived nothing was to much, they helped with photos (holding umbrellas to stop the sun getting in the way of great shots), helped us girls get in and out of the car, made sure we always had drinks as it was a warm day, even bought the boys jam donuts in Fitzroy gardens!!! 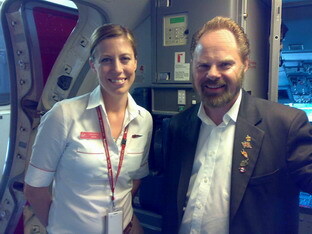 it was absolutely amazing to see such a high level of service!! even going above and beyond the call of duty. 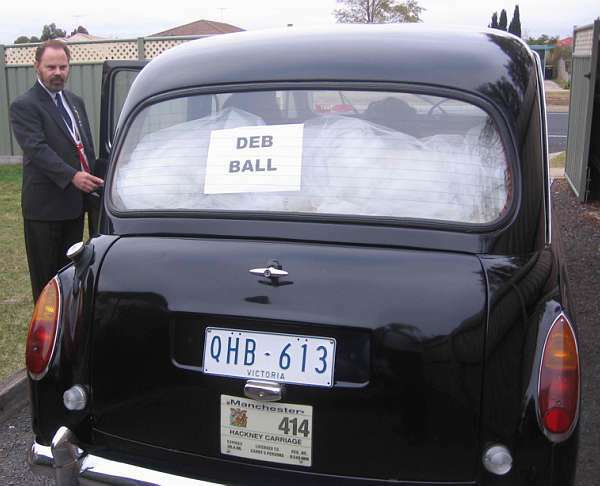 .. Stefanie Ortega.. 31 July 2010, Deb Ball ( 8 girls with partners from 1 house 2 cabs and 1 limo), Lara to Deakin Uni, Thanx for the great service it was amazing ! Had a fantastic day thanx again. Dear London Wedding taxi, Thankyou for your friendly service on our wedding day, The Taxis added an extra special touch to our special day Thanks again from Beck (Everett) and Paul. ..... Mr & Mrs Donaldson. 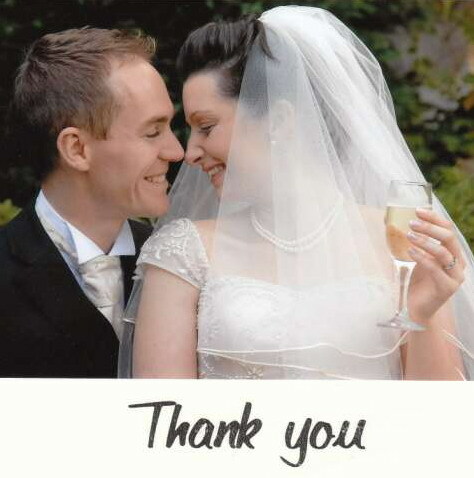 wed 5-3 2011.
thankyou from Easyweddings website From Callan Browne wedding 23-1-15. 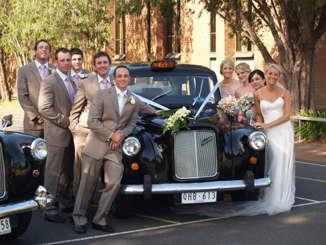 Score: 5/5 Comments:"Steven was a character and really gave the day somewhat of an X factor, something unique and had plenty of people talking"
Comments:"Steven was so funny and charming, he really put me and my bridesmaids at ease, and made us feel really special in our beautiful black cab. 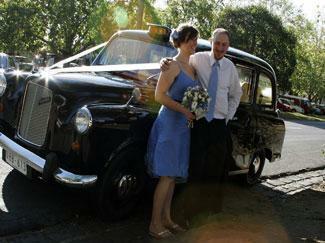 I wouldn't hesitate to recommend London Taxi Wedding Services to our family and friends. 10 september 2016, 21st Birthday hire, TITANIC Williamstown, .Hi Steven, Just wanted to thank-you for the wonderful service your company provided in collecting my son Adam and his friends from Latrobe uni for his 21st last Saturday. 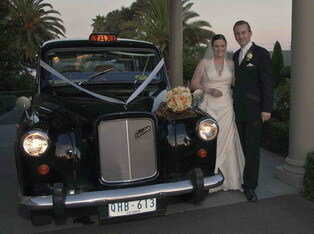 The cab and your driver added to a wonderful night and created some fabulous memories of this milestone occasion. I wouldn’t hesitate to recommend your services and wish you every success. Best regards, Karen Benca. 30-10-2016, babby shower, Laura Harmsworth, Hello Steven, I just wanted to say a huge thank you for driving us in style to my baby shower. Mum and I had a ball, it was a wonderful experience! 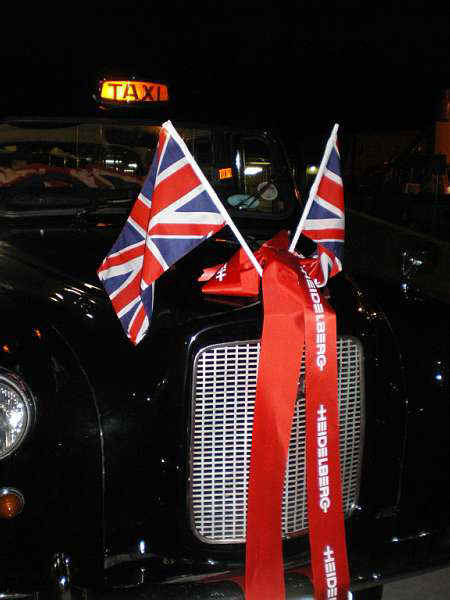 Re- live the joy at your next celebration ........ our London Taxis are ready and waiting. ..
With reviews like these why would you want to use another service, price long forgotten, solid life long love for our service, is a sign of a great business. Will your letter be the next on this page? 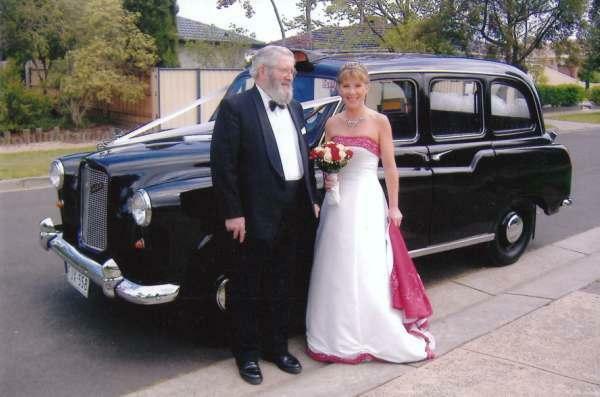 Ask for taxicab availability, prices, fleet viewing appointments, booking forms( sent on my reply to your email), Questions, ask about our 1550 completed weddings, and experiences, or the next wedding date so you can watch us in action. price includes - $1 /km loading from depot to depot + wedding hire (+ accommodation as required) . Our prices are set at quoting, or at quote alterations, you will know the final cost. from the time honoured era of chivalry... The Bride is always on the left arm of her father, so he can draw his sword with his right arm, to protect her ...which is also why the bride will then stand on the groom's left arm. Guys.. wearing a waist coat, the jacket buttons are not done up, from a time when button are a symbol of wealth, that is why your jacket has 5 buttons on the sleeve ! All our drivers are mature, wedding experienced, and Government accredited, alcohol and drug free, police checked. ..for more on your wedding day. 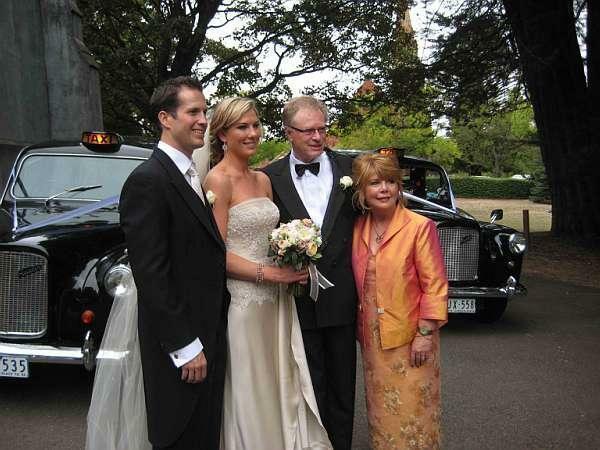 Speech Writing help .... the groom's speech always starts with- "On behalf of my wife and I, ....." SAID IN A STRONG VOICE ( pause for audience responce)..."
IMPORTATION OF LONDON BLACK TAXI CABS INTO AUSTRALIA do not buy a cab in UK ( or anywhere) until you have permission to import papers from Dept Transport Regional Services 0262747111 , Canberra Australia, to import a cab. Do not believe the export service where your got the cab, when they say nothing else is required. Also customs Australia will tell you nothing is required as I found out personally .... this is wrong. Call 0262747111 Dept Transport & Regional Services. Cabs after 1988 Must have been owned as private for 1 year... and have permission to import papers too, ......or your cab will be destroyed - crushed, on landing in Australia. Obtain a "VEHICLE IMPORT APPROVAL" from the Vehicle Safety Standards Branch of the Department of Transport and Regional Services.